Host Card Emulation (HCE) is likely to lead to higher demand for SIM-based NFC payments services and new opportunities for mobile network operators, SIMalliance — which initially warned against HCE for security reasons — has now decided. 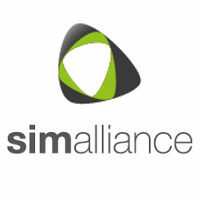 “Within SIMalliance, HCE is viewed as an NFC enabler,” says chairman Frédéric Vasnier. “Even when a payment service provider opts for a HCE-tokenization approach to NFC payments, there is still a valuable role for the MNO’s secure element (SIM) to play. “SIMalliance recognises that a future NFC landscape will consist of HCE and SE-based models, together with hybrid deployment models. There is consensus within our membership that this is a real opportunity for growth in the SE market; we believe this for a number of reasons. “Firstly, HCE promises to drive forward mass adoption of NFC services as it offers a speedier route to market and makes NFC more accessible and versatile to developers. So as consumer familiarity increases, demand for NFC SIM-based services will also grow. “Secondly, the SE is the most likely route to market for payment service providers who want to achieve an early mover status in the NFC payment space. This is because there is an established global infrastructure which makes secure SIM-based NFC payment service delivery possible today; 124million NFC-enabled SIMs have already been shipped in the past three years.